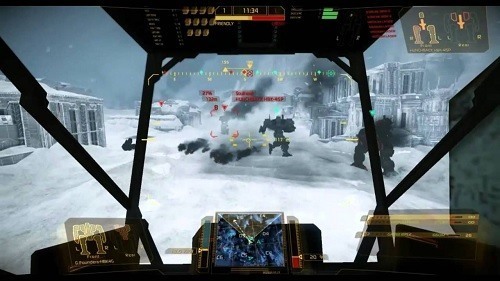 MechWarrior Online lets you take control of your own mech in a vehicle based combat game set in the future. The game launched in September of 2013 and is only available for Windows. The setting for BattleMech takes players to the year 3050 where you control your own mechanical unit known as a MechWarrior. As the pilot of this gigantic machine you have complete control over its movement and combat capabilities through a neural interface. These machines fall into four different broad categories which are light, medium, heavy and assault with a hero mech category also available. How you design your BattleMech within these class types is completely up to you with an impressive number of weapons, engines and other vital pieces of equipment to mix and match until you create a mechanical warrior that feels right. Once you’ve settled on your design you can test it out against other players in fast paced and tactical battles. These battles aren’t just pointless combat pieces though and are in fact part of a grand strategy movement by your faction. The most notable feature of combat is how players take damage to separate pieces of their mech warrior potentially resulting in certain parts of your mech ceasing to work. There are six factions in total which are all battling for control of the game world. Players can choose which faction to join, or instead opt to join a mercenary group for hire. For players that don’t wish to engage in this aspect of gameplay you can stay completely neutral by pledging no allegiance. 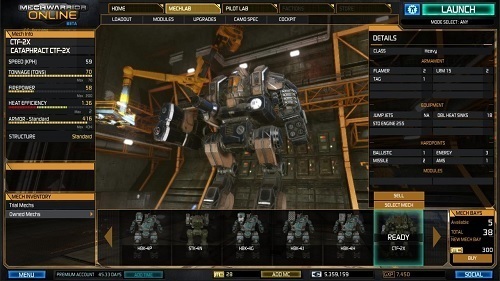 Overall the customisation available in MechWarrior Online ensures there is no shortage of options for gameplay and you’ll always be experimenting with your mech to get the most out of it. The really driving gameplay feature though is the faction and mercenary based warfare which makes it feel like you can change the course of the game world. Customise your own mechanical warrior. Huge number of options to create your own unique combat warrior. Impressive and varied maps designs. Battle in the name of your faction. Free to play for Windows.